Valley JCC celebrates 61st annual Shinnenkai. 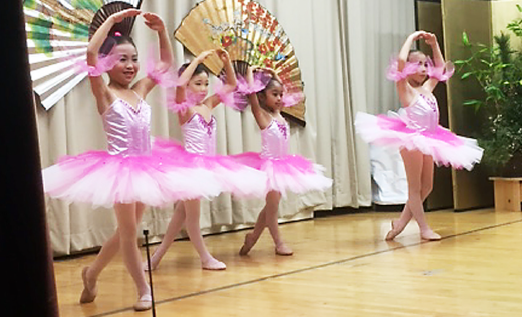 Ballet dancers perform at the Valley Japanese Community Center’s Shinnenkai. 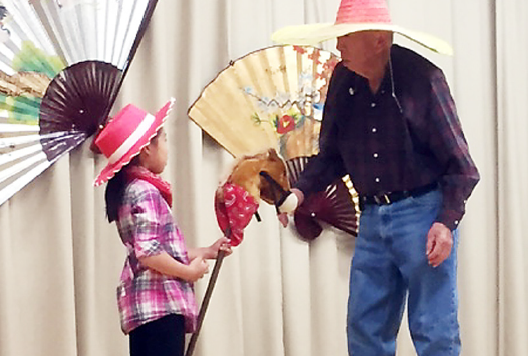 Having celebrated our 60th anniversary in November of 2014, Valley Japanese Community Center, located in Sun Valley, recently celebrated our 61st annual Shinnenkai or New Year’s Party on Jan. 31. A record number of guests and members made for a full hall and a lively party. VJCC is unique due to the fact we do not have paid entertainment; rather, we highlight each organization’s accomplishments. From kawaii little girls in pink tutus to poetry, dance and popular songs sung by guests, a good time was had by all. The most anticipated act at the end of the evening was magic performed by VJCC President Ken Kageyama. He was joined on stage by his two grandchildren, who are also students of Valley Gakuen. A raffle with many gifts and goodie bags for all culminated the evening. Valley Japanese Community Center has a Buddhist temple that meets monthly. Valley Gakuen offers Japanese language classes under the Kyodo System. We also have classes in martial arts such as judo, kendo and karate, tea ceremony, calligraphy, minyo odori and, most recently, ballet. New members are always welcome. Valley Japanese Community Center wishes to extend our wishes to everyone for a happy, healthy and successful new year. For more information, please call (818) 825.9583 and leave a detailed message. Ken Kageyama, Valley Japanese Community Center president, performs a magic trick with his grandchildren.